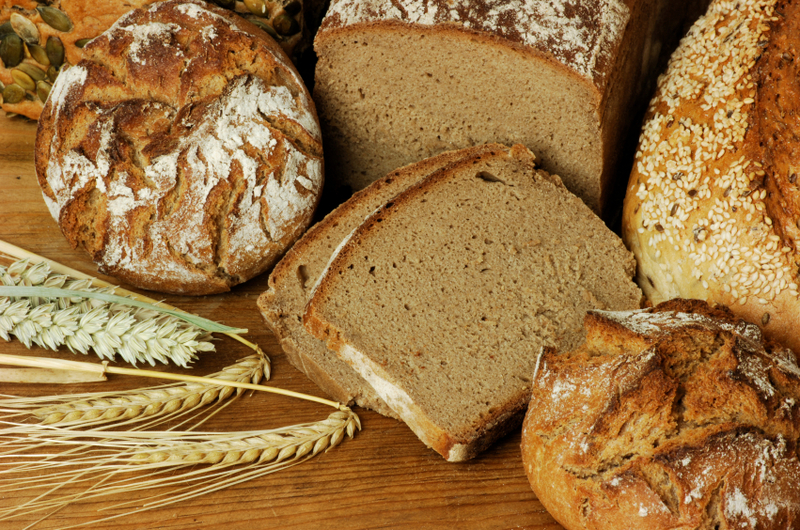 Could you give up bread for life? I was advised to eat seven serves of bread and cereals, two to three serves dairy, fruit, starchy vegetables, and to balance that intake with insulin. If you add up all those serves, they were recommending a diet of up to about 240 grams of carbohydrates a day, and to balance it with insulin. I was going to be the best patient, and there has been some important trials that show that if you do control your blood glucose well then you can reduce your incidence of the complications. Dr. Stapleton believes we evolved on a very low carbohydrate diet; the Agricultural Revolution led to our current high carb consumption. He was concerned about the risk of hypoglycemia with standard diabetic diets. There was a different approach where essentially you went on a very low carbohydrate diet, this made a little bit of sense to me. Why would I eat carbohydrates and then have to balance it with insulin? What they say is you need to estimate the amount of carbohydrate you’re going to eat, and then you need to match that carbohydrate dose essentially with an insulin dose. So you sort of look at your food and you go, okay, I’m having 30 grams of carbohydrate and I need one unit of insulin per 15 grams of carbohydrate, so two units. It sounds really quite straightforward, except that it’s very, very difficult to estimate accurately the amount of carbohydrate you’re eating. The information on the packets can be out by 20%. Most people say that your error rate can be around 50%. Troy Stapleton: That’s correct, it causes an oxidative stress to your endothelium, and that is the damage that diabetes does, that’s why you get accelerated atherosclerosis. He was able to reduce his insulin from about 27 units a day down to 6 units at night only (long-acting insulin)! He admits his low insulin dose may just reflect the “honeymoon period” some type 1s get early on after diagnosis. Norman Swan: So when you talk to your diabetes educator now, what does he or she say? Troy Stapleton: Look, they’re interested, but they’ll tell me things and I’ll say, well, that’s actually not true. I’m quite a difficult patient, Norman. He says he’s eating an Atkins-style diet. Combining the transcript and his notes in the comments section: 1) he doesn’t eat potatoes or other starchy vegetables or bread, 2) he eats meat, eggs, lots of non-starchy vegetables, some berries and tree nuts, olives, and cheese, 3) an occasional wine or low-carb beer, 4) coffee, and 5) he eats under 50 g/day of carbohydrate, probably under 30 g. This is a low-carb paleo diet except for the cheese, alcohol, and coffee. Cheese, alcohol and coffee are (or can be) low-carb, but they’re not pure paleo. There is an adaption period to a very low carbohydrate diet which takes 4–6 weeks (ketoadaption). During this time symptoms include mild headaches, lethargy, cramps, carb cravings and occasional light headedness. These symptoms all pass. Read or listen to the whole thing. Don’t forget the comments section. All the blood sugars you see there are in mmol/l; convert them to mg/dl (American!) by multiplying by 18. This entry was posted in Diabetic Diet, Dietary Carbohydrate, Low-Carb, Testimonials and tagged carbohydrate restriction, Dr. Troy Stapleton, low-carb diet. Bookmark the permalink. First you say he doesn’t eat starchy vegetables and then you say he eats lots of the. Which is correct please ?